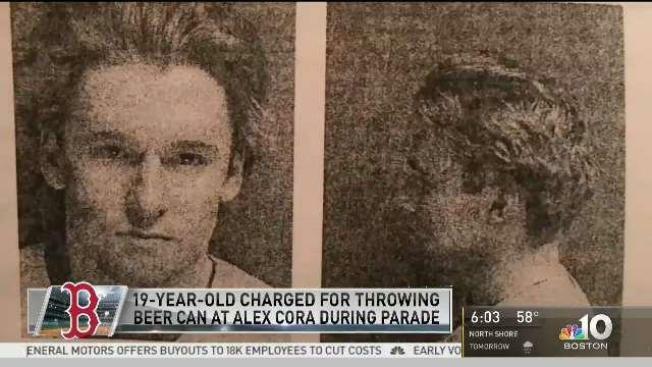 While confetti littered streets with celebration and a sea of Red Sox fans flooded Boylston Street Wednesday, one Cape Cod man was in handcuffs for allegedly throwing an open can of beer at Alex Cora. Video shows Cora waving to the crowd and basking in his team’s World Series win during his first year as manager just before the can strikes him. Interrupted by the rude surprise, Cora looks on to the crowd while a man could be seen jumping up and down in the crowd shortly after the manager was hit. A different cell phone video shows the same man being ushered away from the crowd by police shortly after the incident. Sandwich resident Patrick Connolly, 19, was charged with disorderly conduct, assault and battery by means of a dangerous weapon and being a minor in possession of liquor. 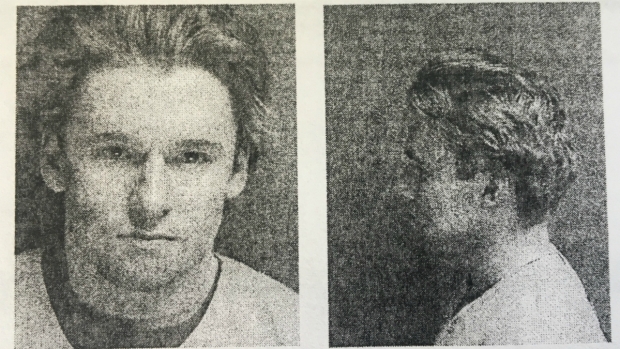 The suspect was arraigned Wednesday and released on personal recognizance. Connolly told police that he didn’t intend to hit the Red Sox manager with the beer. "I love Cora. I didn’t mean to hit him," the suspect said. "That was stupid. I wasn’t trying to hit Cora." 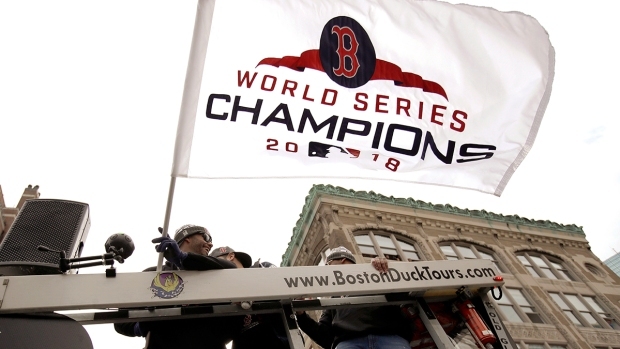 Several fans were seen tossing beer cans to players as they passed by on duck boats. Some players caught the cans and either drank out of them or sprayed the contents onto the audience. Others dodged and dropped them. Outfielder Mookie Betts dropped one of the cans and a Red Sox staffed member intervened after one nearly struck the player in the face. One World Series trophy was a casualty of the beer can tosses and was slightly damaged as a result. Including Connolly, six people were arrested during the parade in total for various charges.